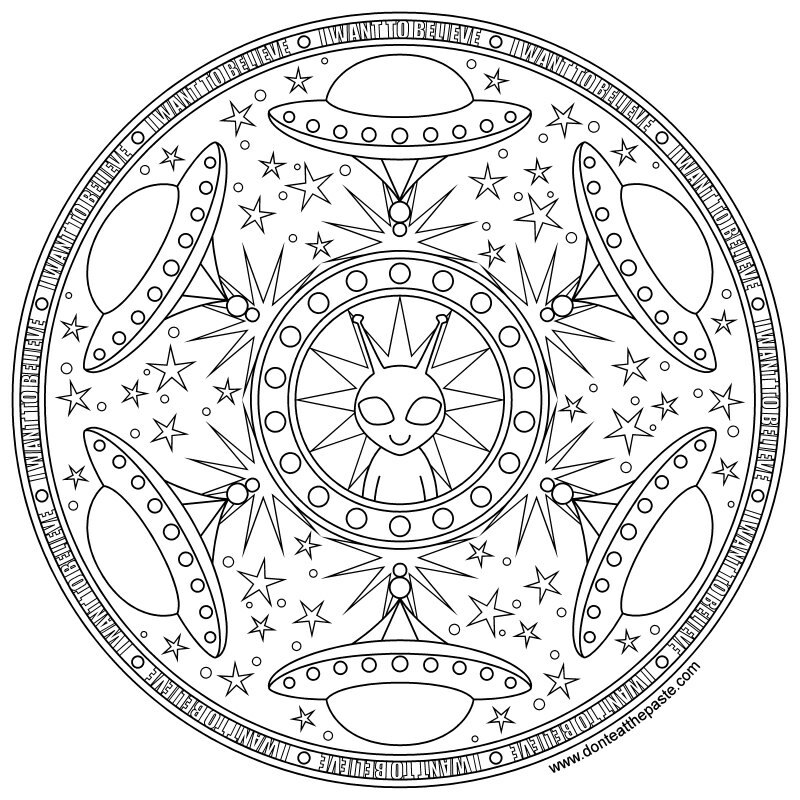 I hope you enjoy this alien mandala to print and color! 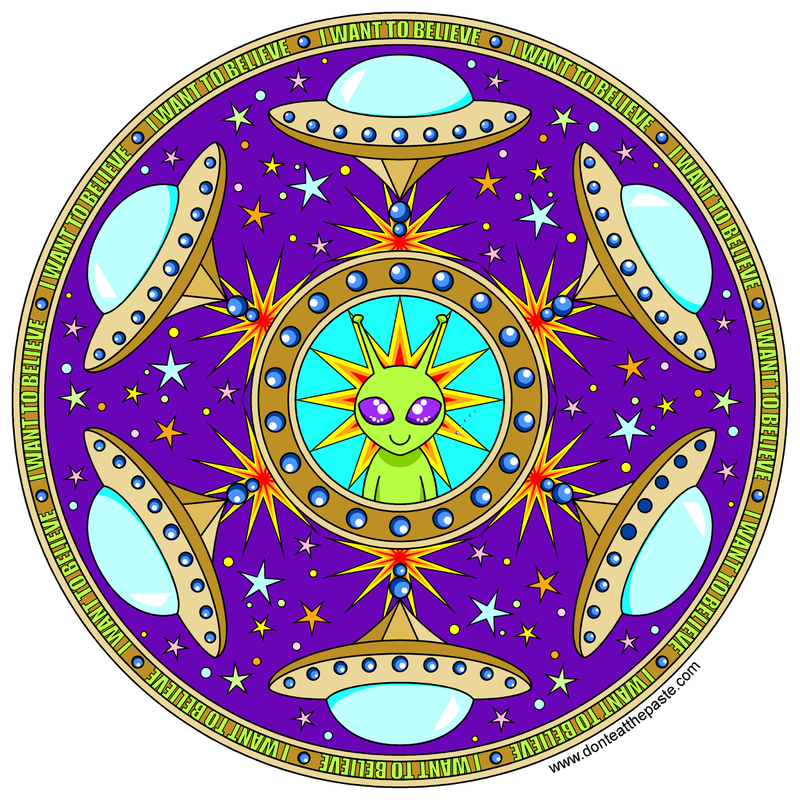 If you're an X-files fan, you'll recognize the phrase "I want to believe" around the edge- and you're probably as excited as I am about the return of the show. So! 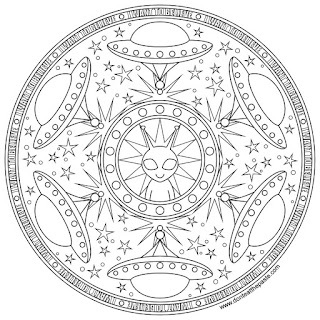 Here's the mandala to print and color. Click on the images below for larger versions!